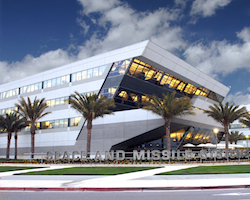 Registration is open for the 2012 GPS Partnership Council meeting at the USAF Space and Missile Systems Center, Los Angeles AFB, on Tuesday, May 1 and Wednesday, May 2. As always, participants can compete in a golf tournament on an optional third day of networking and camaraderie on Wednesday, May 3. The registration deadline is April 27. The schedule includes military and industry panels on the GPS system’s capabilities, Modernized GPS User Equipment (MGUE) , a national perspective on the GPS partnership from a number of federal agencies and a warfighter panel and keynote. The lead council members are Brig. Gen. Martin Whelan, director of requirements at USAF Space Command headquarters in Colorado; Col. Bernie Gruber, head of the GPS Directorate (formerly GPS Wing)at Los Angeles AFB; and Tony Russo, head of the National Coordination Office for Space-Based Positioning, Navigation and Timing in Washington D.C.. The GPS Partnership Council was established a number of years ago, but was revived in 2008 and has been held each year since. It is a networking opportunity for United States GPS supporters in government and industry and includes a military and industry exhibition. The event is co-sponsored by the Los Angeles chapter of AFCEA (Armed Forces Communications Electronics Association) and the USAF GPS Directorate. Pre-registration is required and is limited to United States citizens, but otherwise is open to those interested in the topics. The registration deadline is April 27, 2012. Contact conference co-chair Dave Sutton if you have questions.